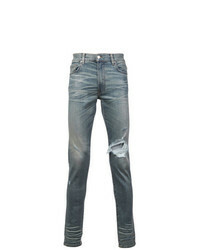 Amiri Distressed Skinny Jeans £574 £957 Free UK Shipping! 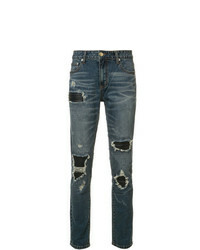 God's Masterful ... Ripped Skinny Jeans £235 £392 Free UK Shipping! 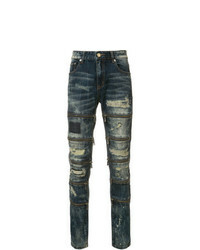 God's Masterful ... Zipped Ripped Skinny Jeans £536 Free UK Shipping! 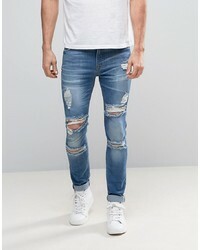 Hugo Skinny Fit Stretch Distressed Jeans In Blue £62 Free UK Shipping! 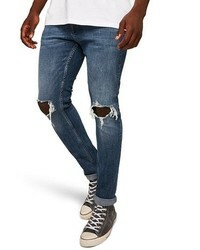 Jaded London Super Skinny Jeans In Black With All Knee Rips Zip £29 Free UK Shipping! 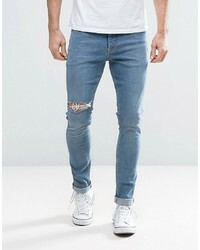 ASOS DESIGN 125oz Super Skinny Jeans In Mid Wash Blue With Knee Rip £35 Free UK Shipping! 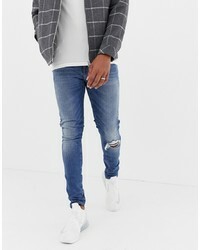 ASOS DESIGN Asos Super Skinny Jeans With Mega Rips In Mid Blue £21 Free UK Shipping! 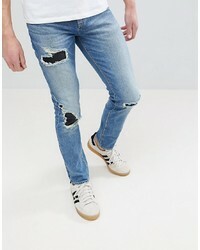 Sixth June Extreme Ripped Skinny Jeans £21 Free UK Shipping!